Professionally, Osher Gunsberg was a host on “Australian Idol”, for seven years, before moving to the USA 2009 to pursue his career further. In 2011 he became the first Australian to host a live, primetime, network show in the USA when he worked on “Live to Dance” on CBS. Most recently he was the host of the first season of “The Bachelor Australia” and is returning to Australia in winter 2014 for Season 2. 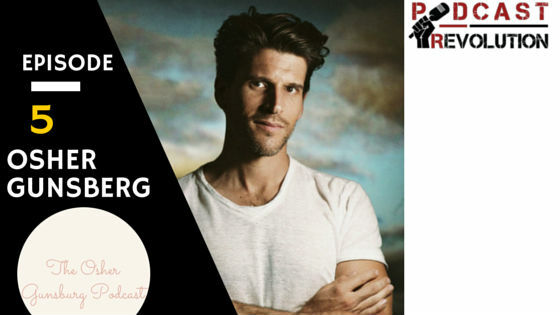 In September 2013 he celebrated his twentieth year career in broadcasting by launching “The Osher Günsberg Podcast”. On a personal level, Osher is vegan, practices yoga and is an enthusiastic marathon runner and cyclist. He is passionate about positive lifestyle choices and the impact that nutrition education and exercise can have on quality of life. An accomplished photographer, Osher had his first solo exhibition in Sydney in 2010. Create the best show that you can on a subject that you know the best about. Have the ability to speak well and leisure guests. Ability to speak well and have clear audio quality.